Individuals who want to become certified yoga teachers. Individuals who don’t wish to teach yoga but want to take a transformative, life-changing journey to deepen their personal practice and knowledge. Feel passionate and enthusiastic about yoga. Are self-motivated and ready to undertake an intensive study of yoga. Have at least 6 months of practice experience. This course provides participants with the knowledge and skills necessary to effectively teach asana, pranayama, and basic meditation. But it doesn’t stop there. 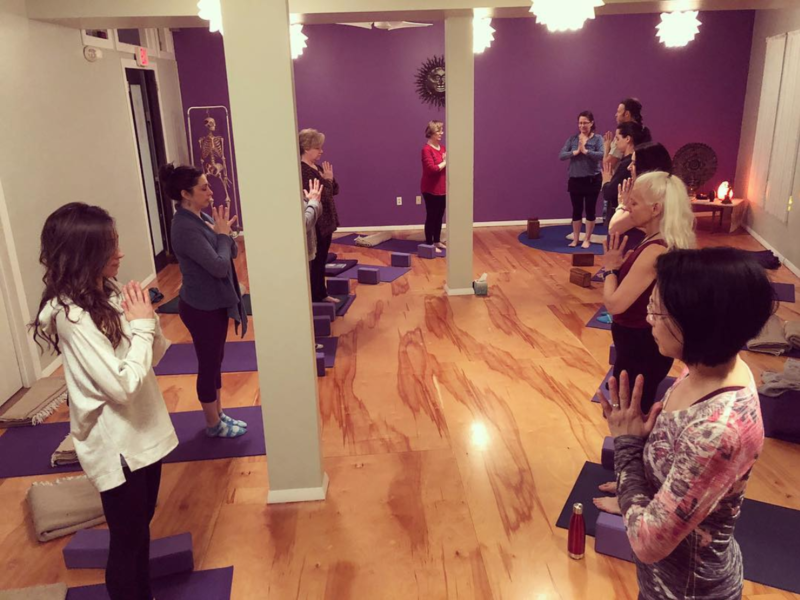 This is a comprehensive program that dives into the full range of yoga practice including its ancient traditions and spirituality. Methodologies for teaching: logistics, group dynamics, time management, propping, assisting, sequencing, lesson planning, etc. Become members (Ambassadors) of AYCY and join a dynamic international community of yoga teachers. Receive ongoing discounts and opportunities for continuing education workshops, trainings and retreats in the U.S. and abroad. Receive ongoing discounts on boutique items in the online AYCY store and Quest Yoga boutique. 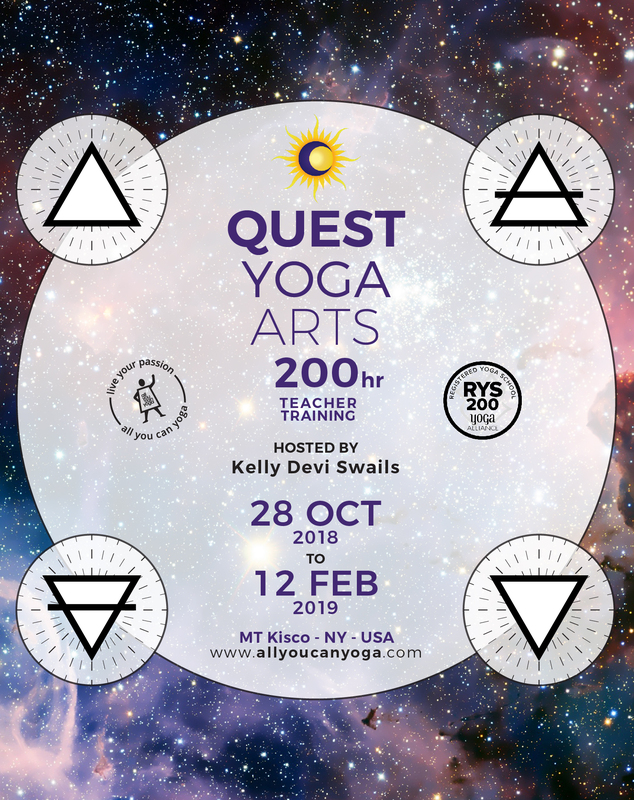 Receive discounts on graduate-level teacher trainings at Quest Yoga Arts. Receive mentoring and teaching opportunities. 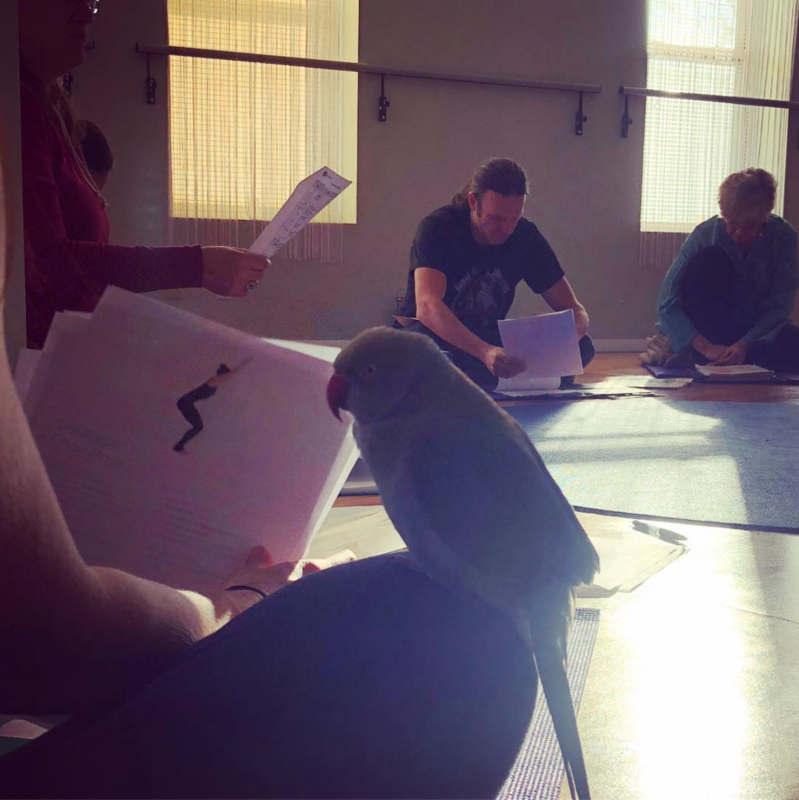 Beyond in-class sessions, exams and practicum, students are required to complete independent reading, homework assignments, a small class project, attendance in asana classes and short daily meditation. Successful participants are self-motivated and engaged in consistent active learning (both independently and in group discussions/practice). The last in-class session is January 13, however trainees are scheduled for individual evaluations between January 14 and February 2, 2019. Students should plan some availability within this timeframe as well. E-RYT, RPYT, CCCE, MA, owner of Devi Ma Yoga, was “found” by yoga while walking in NYC during a big snowstorm. With head down, she just happened to glance a small Ganesha statue out of the corner of her eye. Looking up, she found herself was standing in front of Integral Yoga and realized this must be a “sign”. Within a week she registered for a class, and in short order undertook their teacher training. Kelly began teaching yoga in January, 2005. She is certified in hatha, restorative, yin, prenatal, postnatal, and yoga for labor & delivery. 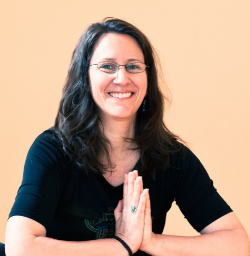 In addition to teaching yoga, Kelly is a certified childbirth educator and birth doula. Kelly now mentors doulas and teaches basic and graduate-level yoga teacher trainings. Her extensive work with women and babies in yoga studios and birthing rooms has deeply influenced her approach and perspective on the power of yoga to transform lives. Additionally, Kelly shares her strong interests in Vedic & Western astrology and shamanic studies and often weaves these aspects into her classes. She holds a Master's Degree in Medical Anthropology and Medical Geography. Trainees are expected to be on time for classes and may not miss more than 3 sessions during the course of the training. If an absence is inevitable, it is the trainee's responsibility to make arrangements to get notes and other missed information. To maintain the integrity of this training and to ensure quality graduates, the attendance and make-up hour policy is firm. Please consider your time and availability carefully before committing to this program. Step 1: Complete the online application on All You Can Yoga website (link below). Make a deposit payment of $400 at time of application. Step 2: You will be contacted to set an appointment for your acceptance interview at Quest Yoga Arts within 1-5 days. Step 3: Once you are accepted into the program, you will be contacted regarding your payment preference for the program (in-full, or monthly payment plan). If you are not accepted into the program, you will receive a full refund of your initial deposit. All You Can Yoga™ provides a refund of the initial deposit or tuition payment (minus a $50 processing fee) for any accepted applicants who need to withdraw before the start of teacher training. Once the training starts there are no refunds of payment up to and through the month of withdrawal from the program, regardless of attendance during that month.